Investigators have raided the home of a former top security aide to French President Emmanuel Macron, days after footage emerged showing him beating a young protester in May. Opposition politicians have piled pressure on Macron, who has so far remained silent about the incident, to explain the government's handling of the affair. 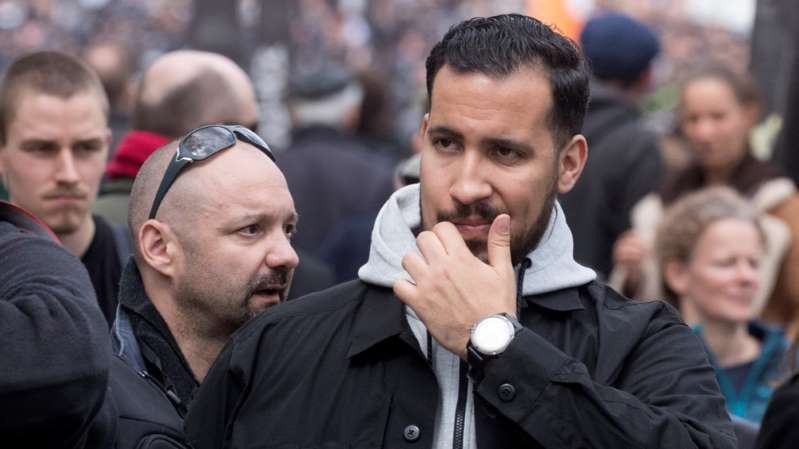 According to the Paris prosecutor's office, the raid of Alexandre Benalla's house in the Issy-Les-Moulineaux suburb of the French capital took place on Saturday morning. [post_ads]The 26-year-old was dismissed on Friday following public outcry at the video, which showed him wearing a police helmet and identification while dragging a woman away from a protest before stomping on another demonstrator's stomach at a May Day rally. Police took Benalla in for questioning on Friday, two days after the footage emerged. He and Vincent Crase, a security aide for Macron's En Marche! party who also intervened in the protest, are facing potential charges and will remain in police custody until Sunday. Benalla is suspected of illegally receiving police surveillance footage in a bid to clear his name. Three police officers, including two suspected of providing Benalla with this footage, have been suspended and taken into custody. The government is facing mounting criticism for its handling of the incident. Macron, who assumed office last year, came under fire after French newspaper Le Monde revealed that his office had learned of the incident three months ago but failed to inform authorities. Critics say Benalla's initial 15-day suspension without pay was too lenient and accuse Macron of trying to cover up the incident. Despite being confined to desk duty, Benalla was seen at a number of high-profile events, including the return parade for the country's football team following their recent World Cup win in Russia. France's Interior Minister Gerard Collomb will face questions from parliament next week as part of an inquiry into the incident and the government's response. He will be questioned by the lower house on Monday and by the Senate on Thursday. Opposition politicians have demanded that Macron explain the government's handling of the incident, with far-right leader Marine Le Pen questioning whether the scandal is the result of a failed government cover up. "The Alexandre Benalla and Vincent Crase case is an affair of the state. How, why and by whom were these acts covered up? What do they reveal about the nature of power that Macron has put in place?" The head of the Republicans party, Laurent Wauquiez, accused the government of "trying to camouflage a matter of state" and calling on Macron to explain himself. Jean-Luc Melenchon, the far-left leader, compared the scandal to Watergate and accused Macron of "organising a personal militia". Macron has not yet spoken publicly about the events, however a presidential spokesman said on Thursday that Benalla's behaviour was "unacceptable". "[He] had been given permission to witness the demonstrations only as an observer," Bruno Roger-Petit said in a video statement. "Clearly, he went beyond this". France's Prime Minister Edouard Philippe said in parliament on Thursday that Benalla "went beyond the status of observer" and that the investigation "will allow us to look at how and why this happened".